In Acts 1:8, Jesus states two very interesting points. He states 1) believers cannot receive power until after the Holy Ghost is come upon them. 2) The purpose of the power is to reach the world. Jesus was making reference to His disciples receiving the baptism of the Holy Ghost. What is the baptism of the Holy Ghost? It is the infusion of the Holy Ghost with the born again believer's recreated spirit. No one can receive the Holy Ghost until AFTER being born again. Why can't the world receive the Holy Ghost? The world cannot receive the Holy Ghost because persons who are not born again (the world) still have Adam's fallen nature. The Holy Ghost cannot and will not join Himself to an unregenerated spirit (a person who is not born again). This is why Jesus said unless a person is born of the water and of the spirit, he cannot enter the Kingdom of God. An individual's spirit must first be recreated in the image and likeness of Christ (be born again). Then and only then will the Holy Ghost join Himself o that person's recreated spirit. When this joining takes place, it is evidenced by an experience known as glossilalia or speaking in tongues. Why is the joining of the Holy Ghost to a believer's recreated spirit evidenced by glossilalia or speaking in tongues? Speaking in tongues evidences the joining of the Holy Ghost to a believer's recreated spirit because the believer's recreated spirit is in a sense spiritually comnustible or flamable. The believer's spirit can be ignited by the Holy Ghost (set on Holy Ghost fire). When this spiritual ignition takes place, it is evidenced by speaking in tongues. The spiritual language of tongues flows out of the belly, bypassing the mind. Jesus said, out of the believer's belly would flow rivers of living water. (John 7:38) When the believer speaks in tongues, that individual is speaking from his/her own recreated spirit. The purpose of the language is direct communication with God. Speaking in tongues is the doorway to the power of God. Jesus said the believer would receive power AFTER that the Holy Ghost is come upon him. Why AFTER? Because there is still some prayer work to be done. When a believer speaks in tongues, that believer spiritually edifies (builds up) himself. "He who speaks in a tongue edifies himself, but he who prophesies edifiess the church." 1 Corinthians 14:4 Jude says that believers are to build themselves up by praying in the Holy Ghost. (Jude 20,21) Believers who pray in the Holy Ghost build themselves up and receive spiritual edification to reach the world for Jesus. 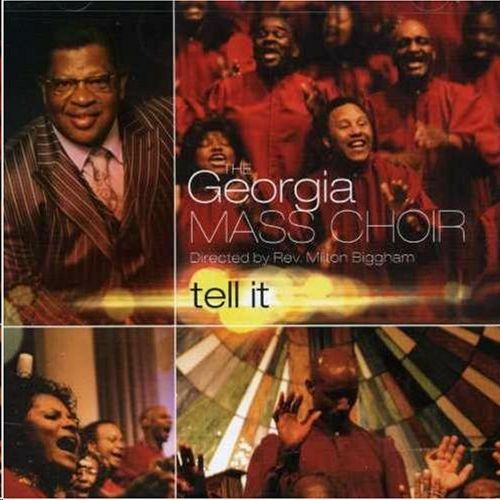 Click here to hear the song Holy Ghost by Georgia Mass Choir.